PMR is a simulated VR that is computed in its own calculation space (dimension) within TBC. 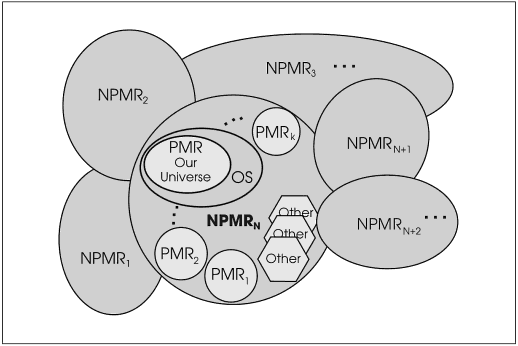 [MBT Trilogy 2] Our PMR is not the only one, there are many other PMRs grouped as PMRk within NPMRN. Our PMR (and many other physical matter realities among the available PMRk) uses the space-time construct within the EBC as a consciousness interface filter that defines the perception (experience) of PMR to participating FWAUs. PMRs are used as a high-intensity learning lab with rapid feedback for IUOCs that have a relatively low QoC. This page was last modified on 20 November 2017, at 06:59.